Serbian minister of Mining and Energy Aleksandar Antic participated at Ministerial Conference on the International Energy Charter, held in The Hague 20 and 21 of May 2015. Ministers of Energy and other representatives of 66 states attended the Conference. 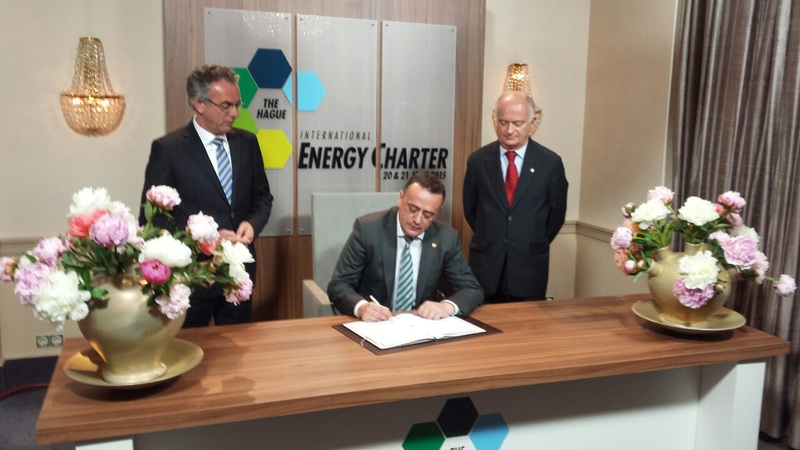 During the Conference, minister Antic signed International Energy Charter in the name of the Republic of Serbia. In his speech, minister Antic emphasized the importance of the Charter for the international cooperation in this field. He also stressed that the Republic of Serbia is prepared to sign the Energy Charter Treaty.